A world class magical park designed for those who wish to seek joyful experiences and creative explorations are currently having its final leg of preparations at Kinfra Park in Kazhakkuttam. Yes! The Magic Planet with a budget of 15 Crores have been beautifully crafted to entertain the fun loving generations. 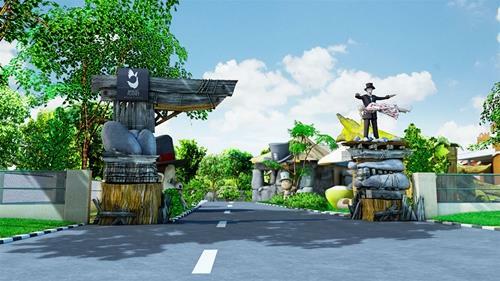 Touted as the world's first magic theme park, 'Magic Planet' is a uniquely designed infotainment centre for children which will depict the history of magic from 500 BC onwards. Headed by renounced magician Gopinath Muthukad, the magical planet will be opened to public on 31st October 2014 with the presence of thousands of magicians. Children would get a unique chance to engage in creative exploration and experience the magical aspects of science, mathematics and literature through a number of fun activities set inside the magic planet. The mascot of Magic Planet is a bespectacled young magician 'Harry', named as a tribute to Houdini, the celebrated illusionist and escape artist. 31st October has been selected as the opening of the complex as the day is observed worldwide as Magic Day in honour of Harry Houdini. Spread over 1.5 acres, the magic planet will have a number of attractions including a museum, an underground tunnel, a mirror maze, shadow plays, a virtual supermarket, a children's park, a food court, theatres for live performances and an R&D centre. 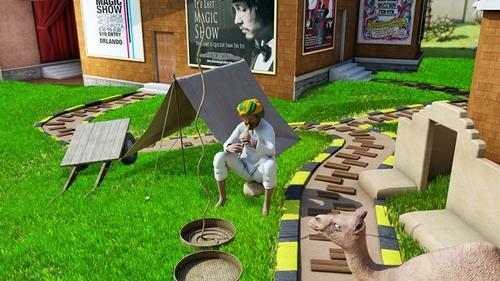 A special area is dedicated to Indian street magicians who will showcase traditional tricks while a podium under a tree is being set where children can gather around to listen to fables and tales narrated by a storyteller. A major attraction at the complex would be a 'magical' recreation of William Shakespeare's play 'The Tempest'. As the work has magic as its central motif, children would understand understand and appreciate the beauty of writing. The Magic Planet having a capacity to accommodate 500 people at a time will be opened from 11 am to 6 pm on all days. The three day long 'Magic Summit 2014' to be attended by 1,500 will bring popular magicians from different parts of the country. A vast library containing books related to magic is also installed in the complex. The tagline of Magic Planet is 'Today's Children: Tomorrow's Einstein'. As magic can be used as a powerful tool for education, social campaigning, personality development and positive thinking, youngsters can use the opportunity to bring good fortunes in their lives.